I looked for as many highly rated vegan protein bars as I could find to test. Square Organics made the cut, and this review has all the results of my testing. This is the weakest area of the bar by far. If you divide the protein calories by total calories we see that 22.6% of all calories come from protein. That’s not horrendous, but is less than average for the bars I’ve tested. In fact, when you translate that to a score (think of it like a school grade) out of 10, it comes to a 5/10. While I don’t score it, it’s always good to take a quick look at the ingredients in a bar you’re considering. Organic coconut nectar, organic peanuts, organic whole grain brown rice protein, organic dark chocolate (organic cocoa liquor, organic dried cane syrup, organic cocoa butter), organic oats, organic cocoa liquor, sea salt, sunflower lecithin, organic almonds. There’s no protein powder (soy-free), which is why the protein content overall is on the low side. All the ingredients are organic and simple, there’s nothing you’d raise your eyebrows at, which is good. To help you get a sense of what a bar tastes like, I always take a few pictures. 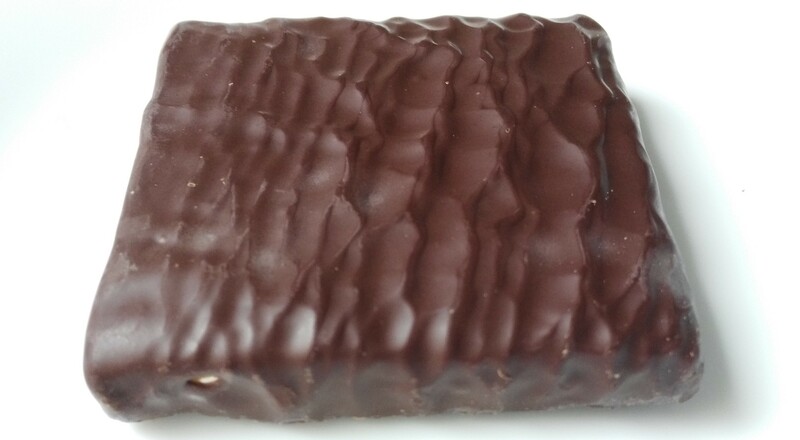 It’s a little chocolate-coated square. So, let’s break it open and have a closer look. You can see a soft, peanut-buttery texture, with a few of what appears to be nut pieces added in for some crunch. It’s firm, but not too chewy. Good sweetness (a little too sweet if anything). If someone told you this was a candy bar, you’d probably believe them. That’s basically my criteria for giving out a perfect 10/10 score. The last thing that I score bars on is cost. Most vegan bars range from $2-4 per bar when you buy a box of 12 or so. Square Organics works out to about $2.3 on most days (prices do fluctuate), and it depends on where you buy it as well. That’s actually relatively cheap for a vegan protein bar, but keep in mind that you only get 13 grams of protein per bar. Based on the simple formula I made, that works out to a price score of 7/10 (where higher is better). If you add those 3 scores up, you get an overall score of 22/30. The average for all bars comes out to around 21/30, so this score puts Square Organics right near the middle. If you’re looking for a vegan protein bar to help hit high protein targets, this probably isn’t the bar for you. There are other bars that taste good still and have more protein. 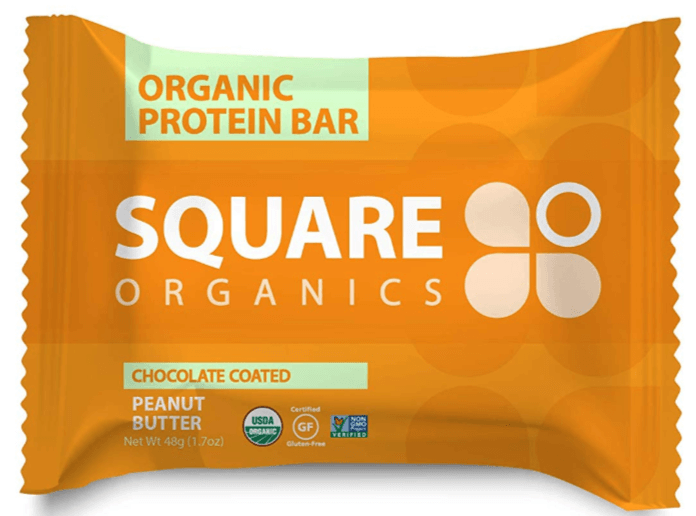 However, if you’re just looking for a bar that tastes really good and has a decent amount of protein, Square Organics is a good, affordable choice.